I'm either a glutton for pain or I have something to prove. Probably a little of both. 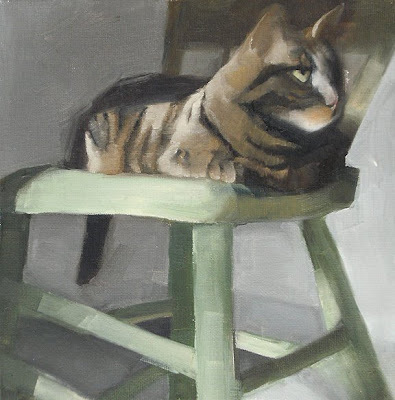 I keep re-working this painting of my cat. It's getting there.